Use 1.5 inch long 24 gauge head pins are perfect for making dangles and drops. The flat end is unobtrusive in a design and prevents beads from sliding off the end of the pin. 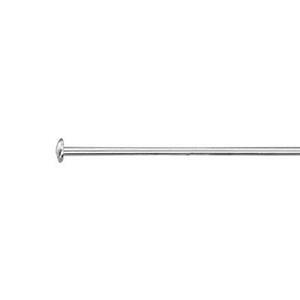 Wrapped loops are recommended for this head pin gauge. These domed pins work great for the right sized hole. They blend in subtly with the stone vs when using a flat head pin. All of the pins in this order of 100 were straight, which is great!